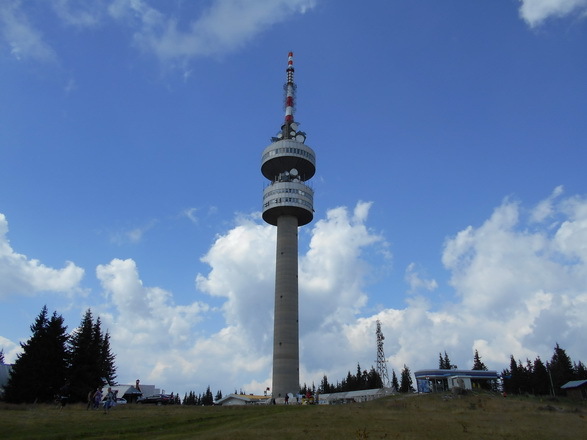 Nice place... go and visit it. You will never regret it! 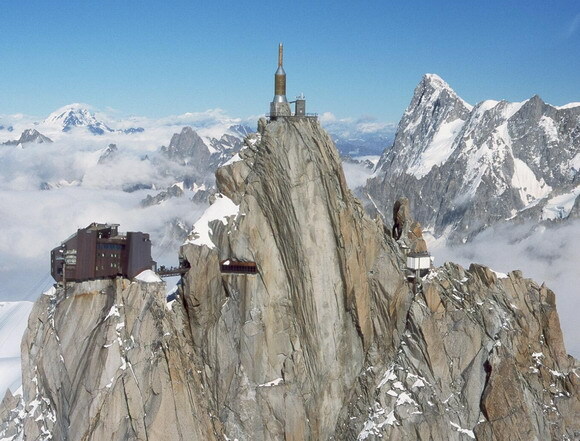 Mont Aiguille (2,085 m) is a mountain in the Vercors Plateau of the French Prealps, located 58 km (36 mi) south of Grenoble, in the commune of Chichilianne, and the département of Isère. 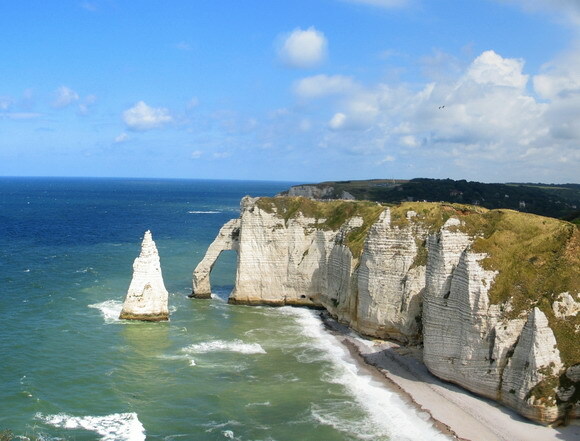 The mountain, known as one of the Seven Wonders of Dauphiné, is a relatively flat limestone mesa (a table shaped elevated area of land) surrounded by steep cliffs. 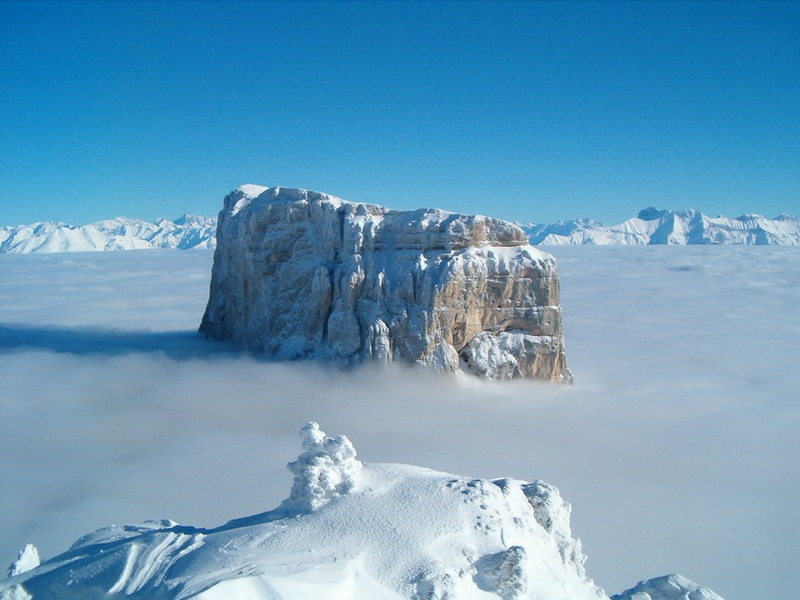 The mountain lies within an area designated in 1985 as the Vercors Regional Natural Park. 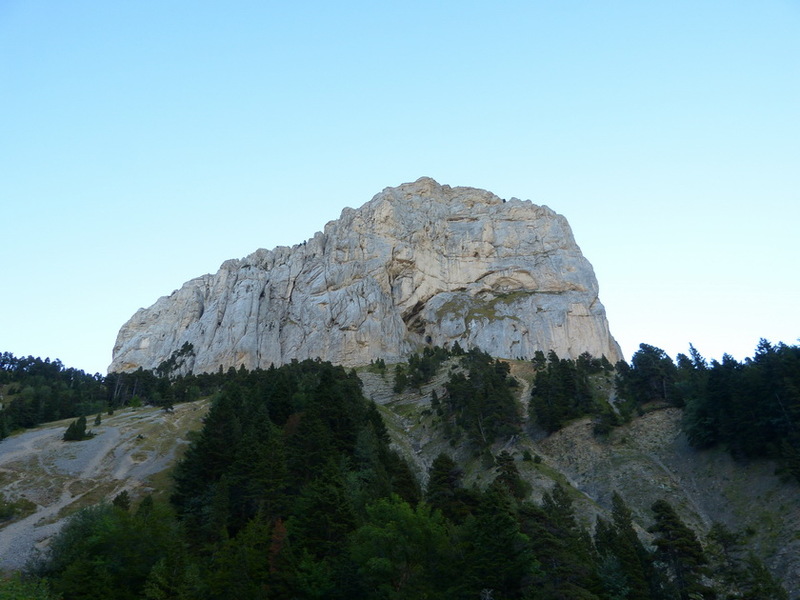 Mont Aiguille's limestone cliffs, especially on the northwest side, are popular with climbers. 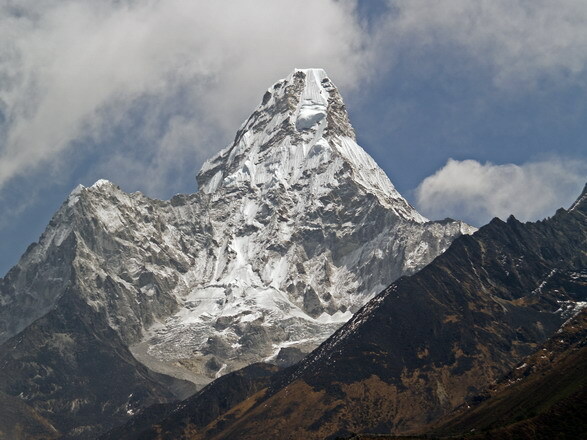 It is notable for its first climb in 1492, which was said to mark the "birth of mountaineering". 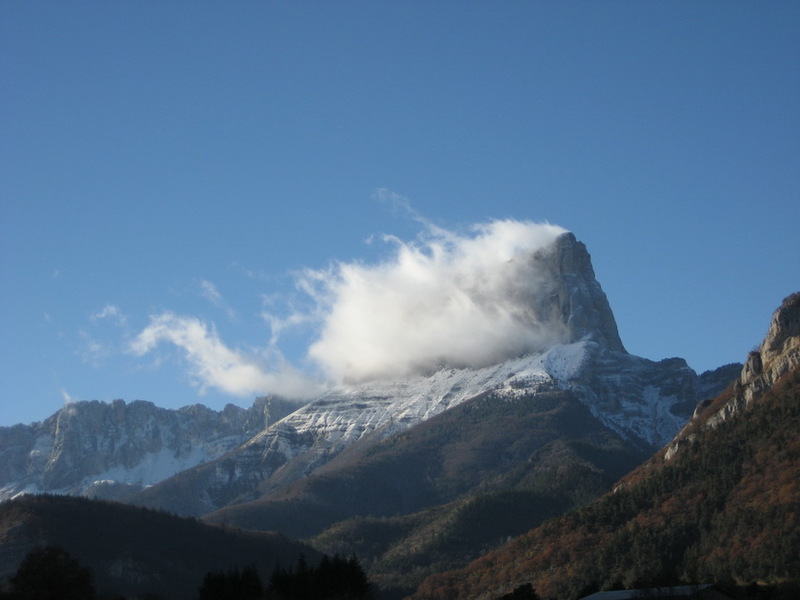 Mont Aiguille is a mesa eroded from the Vercors Plateau in the drainage basin of the Rhône. 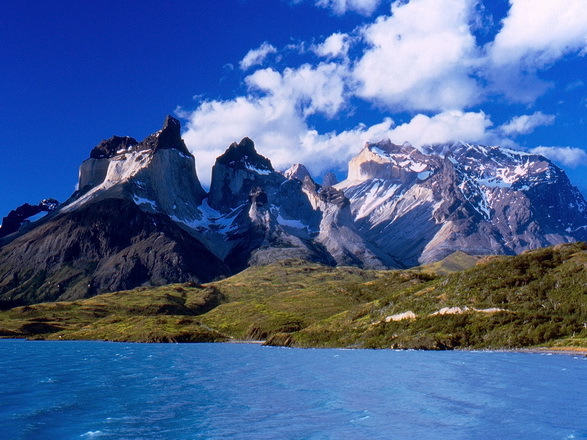 It is surrounded by steep cliffs which give it a height of 2,085 metres (6,841 ft) and a clean prominence of 465 m (1,526 ft). 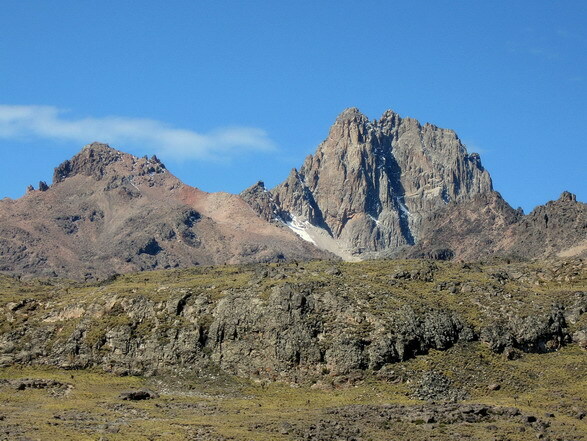 The surrounding terrain is difficult enough to warrant a technical climb as the easiest method of ascent. 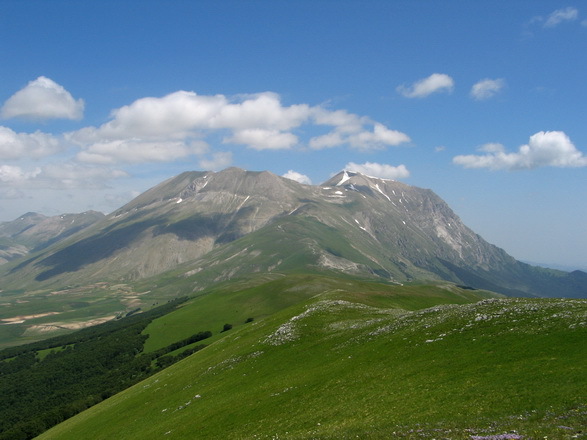 The mountain is capped with meadows botanically similar to those on the Vercors High Plateau, but beneath the cliffs there are extensive forests. 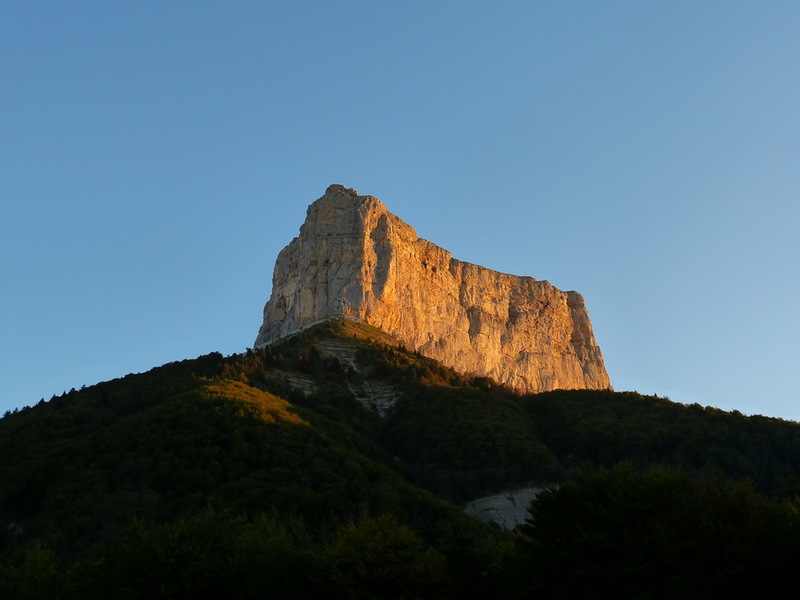 The mountain lies within the Vercors Regional Natural Park and is in the département of Isère. 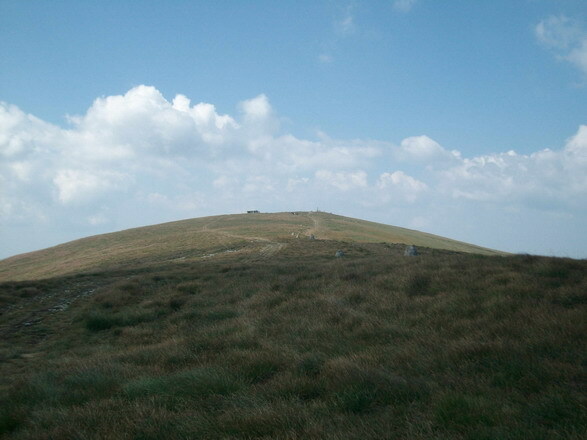 The nearest access by rail is in the village of Saint-Martin-de-Clelles and by road is from the north via the Col de La Bâtie. 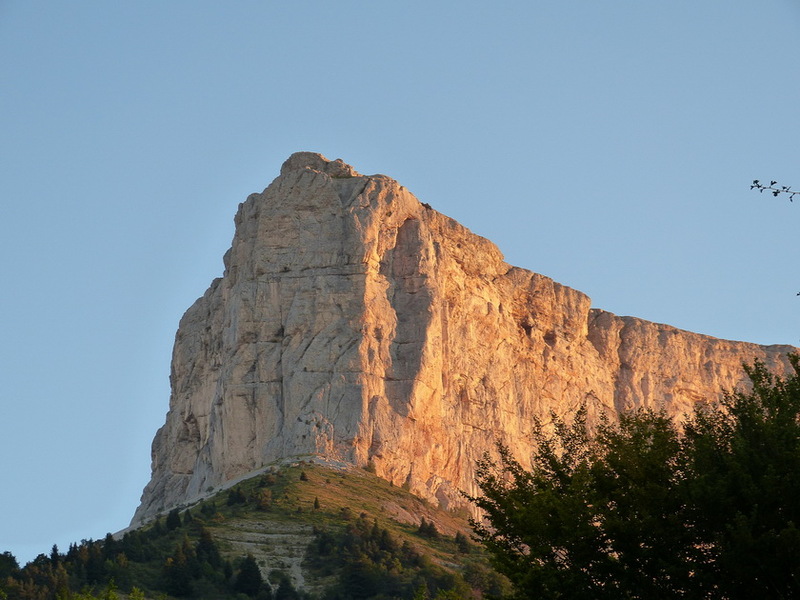 According to Roman legend, the mountain was torn from the rest of the Vercors when a hunter named Ibicus saw naked goddesses on the mountain and was changed into an ibex as punishment. 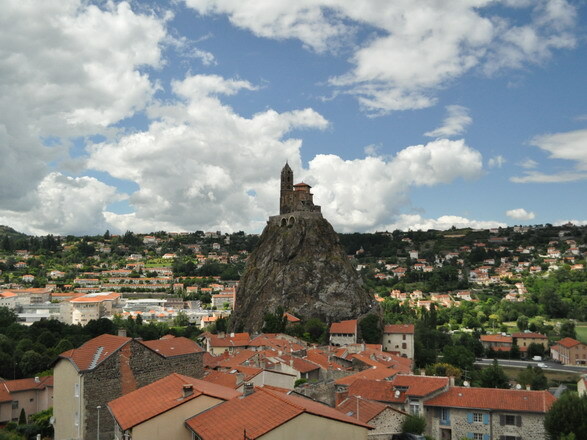 In the medieval period, Mont Aiguille was traditionally called "Mount Inaccessible", and typically depicted as an "inverted pyramid" or "mushroom". 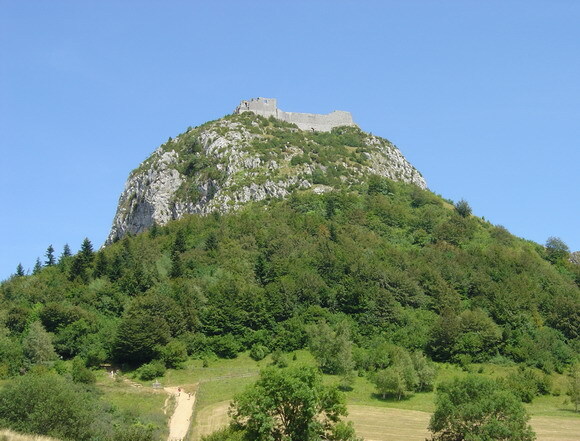 Since at least the thirteenth century, the mountain has been regarded as one of the Seven Wonders of Dauphiné. 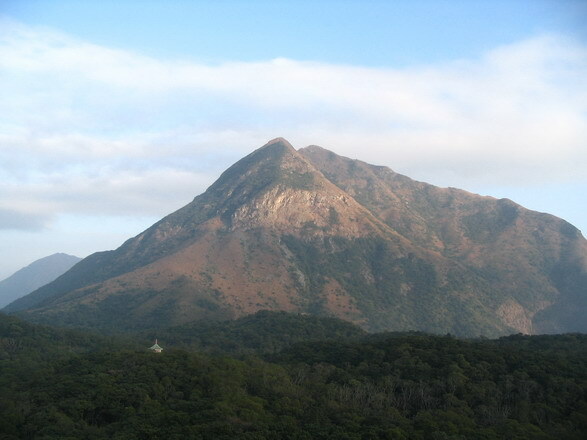 The mountain is most noted for its first ascent in 1492. 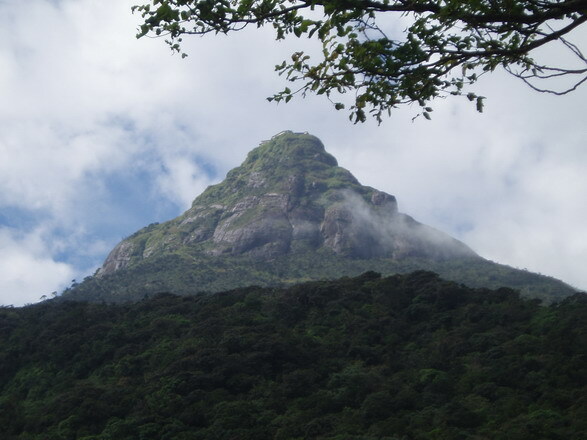 The mountain was not climbed again until 1834, nearly 350 years later, when it was ascended barefoot by Jean Liotard, accompanied for one-quarter of the way by local explorers. 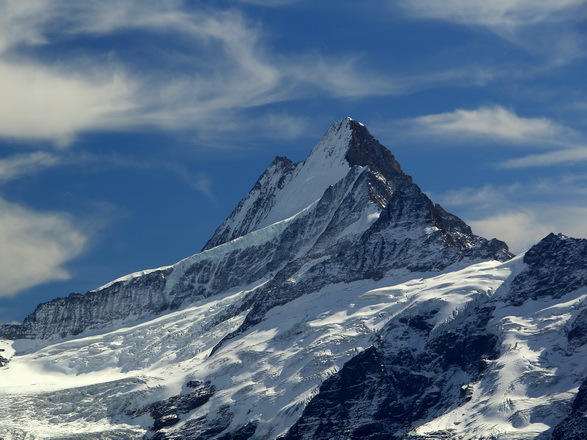 Less than a month later, it was climbed by seven people at the same time, who reportedly danced and sang La Marseillaise on the summit. 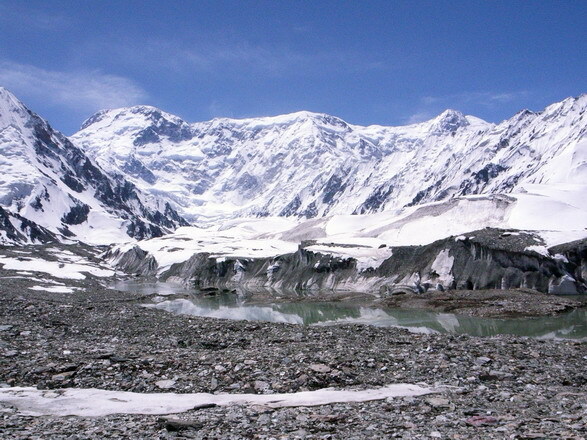 In 1940, the top 11 m (36 ft) of the mountain collapsed, reducing the height to 2,085 m (6,841 ft). 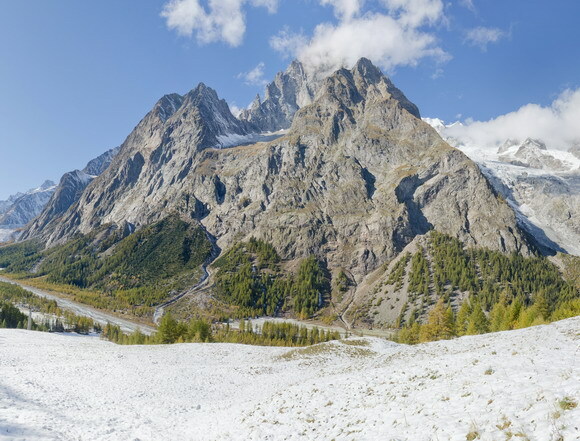 Seventeen years later, on 27 August 1957, the stunt pilot Henri Giraud landed a Piper J-3 Cub on the summit, utilising an 80 m (260 ft)-long, 20 m (66 ft)-wide runway which had been built earlier that day using materials and men lifted to the summit by helicopters. 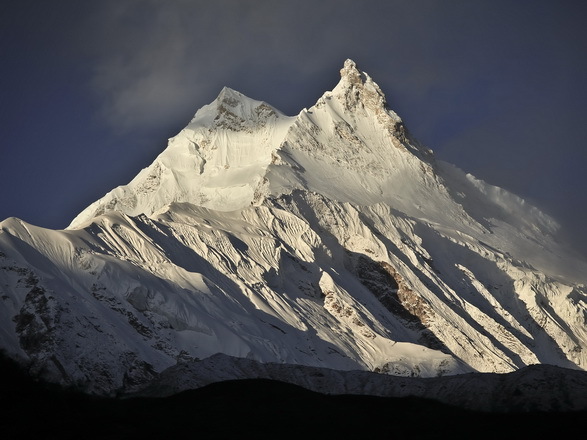 In the following 18 years, he staged a further 51 landings on the summit before his final landing in 1975, many carrying paying passengers, and often made using skis. 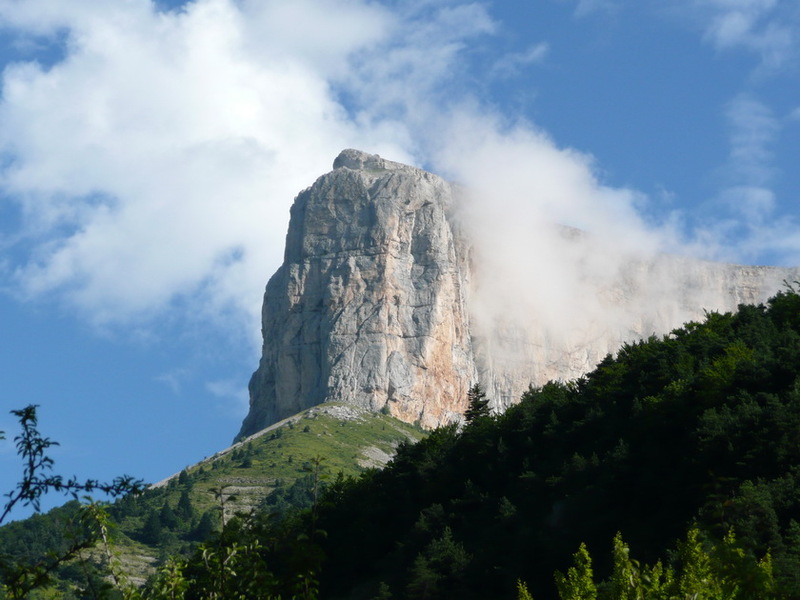 The mountain was in 1970 designated as part of the Parc naturel régional du Vercors. 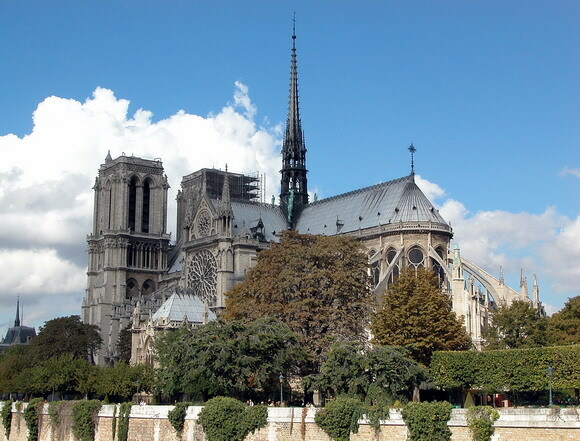 from FranceDamien Cassoli add it to visited list. 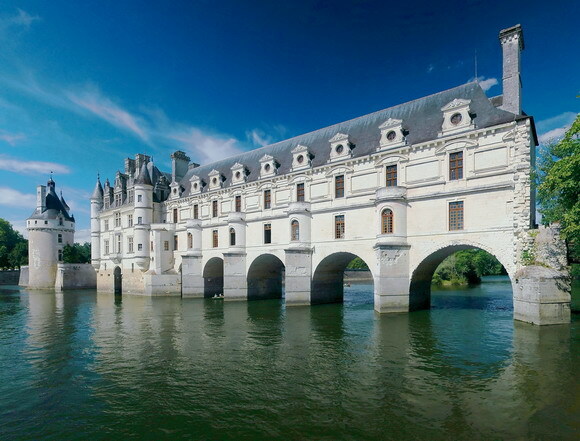 from FranceStéphane add it to visited list. 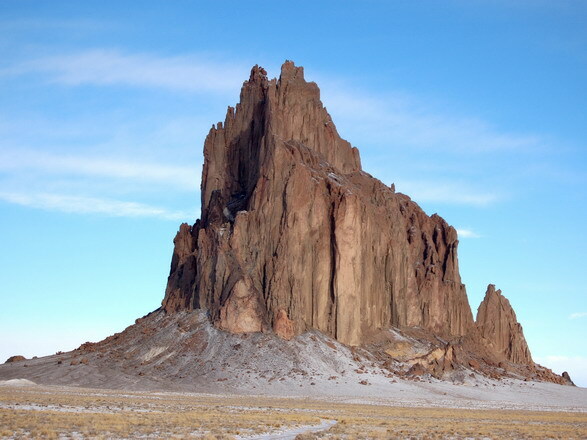 from New York, USAJeffrey Morris add it to visited list.